Square-jawed leading man Clint Walker (nee Norman Eugene Walker) has passed way on May 21, 2018 at the age of 90 from congestive heart failure. This is actually the second time Clint Walker died, as in 1971 he was pronounced dead by doctors after his heart was pierced by a ski pole when he fell off a ski lift. Thanks to a doctor who noticed signs of life, emergency heart surgery was performed. Walker made a full recovery and returned to acting within a few months. Clint Walker's impressive physique (6'6" tall and a V-shaped torso) made him a natural fit for western movies and TV shows. Baby boomer fans may remember him best from his long-running 1950s TV series Cheyenne (1955-1962), in which he starred as Cheyenne Bodie, or as Cal "Kodiak" McKay in his later TV show Kodiak (1974). Before and after venturing onto television screens, Clint Walker had a successful movie career, beginning in the 1950s. He began as a "Tarzan Type" extra in the film Jungle Gents (1954), but moved onto a leading man role - and one that would launch his television career - in the film The Travellers (1957) as Cheyenne Bodie. The western movie Fort Dobbs (1958) saw Clint Walker as leading man to Virginia Mayo, with Brian Keith, Richard Eyer, and Russ Conway in supporting roles. In Yellowstone Kelly, Walker played the fur-trapping title character; his cast members included Edd "Kookie" Byrnes, Ray Danton, Claude Akins, Rhodes Reason, and Warren Oates. He co-starred with Roger Moore in the western gold-mining adventure film Gold of the Seven Saints (1961). Chill Wills & Gene Evans had supporting roles. Clint Walker and Paul Lynde had smaller roles in the Doris Day-Rock Hudson flick Send Me No Flowers (1964), but Walker was back to leading man status in the western adventure film Night of the Grizzly (1966). He was ably supported in Night of the Grizzly by a host of veteran actors, including Martha Hyer, Keenan Wynn, Nancy Kulp, Ellen Corby, Kevin Brodie, Jack Elam, Ron Ely, Med Flory, Regis Toomey, and others. Below, a clip of Clint Walker in Night of the Grizzly. The Dirty Dozen (1967), Sam Whiskey (1969), The Great Bank Robbery (1969), were some of Clint Walker's more memorable film roles before the 1960s ended. 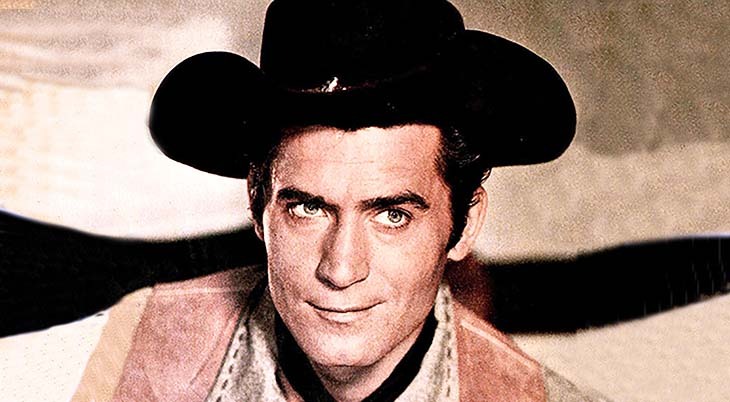 Possibly as a result of his near-fatal 1971 skiing accident, Clint Walker's feature films began diminishing in frequency and quality during the 1970's. He did co-star with Telly Savalas, Chuck Connors, and Anne Francis in Pancho Villa (1972), and with Charles Bronson, Jack Warden, and Will Sampson in The White Buffalo (1977). Clint Walker and leading lady Kim Novak were paired onscreen twice, in The Great Bank Robbery and The White Buffalo. Walker appeared in only two movies during the 1980s, and his last and only film role of the 1990s was a voice-only part as Nick Nitro in the animated featured film Small Soldiers (1998). Clint Walker leaves behind his third wife, Susan Cavallari, and daughter Valerie from his first marriage (to Verna Garver). Farewell, Clint Walker. You will be missed.